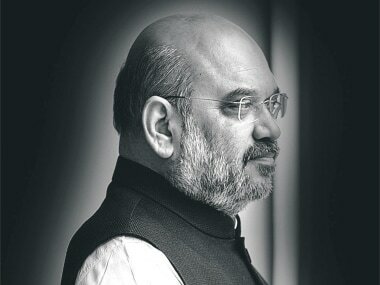 “Jo mahilaon ki andekhi karega unka satyanash ho jayega, mujhe peeche karke Kharola jaise mafia ko ticket diya gaya hai, mein bardasht nahi karungi (Those who will ingore women, he will suffer. Pushing me to the back and giving a ticket to a mafiaso like Kharola is unbearable),” referring to Chief Minister Harish Rawat, Congress leader Vijay Laxmi Gusain screams and starts crying loudly accusing discrimination in ticket distribution. Another aspiring candidate, Surat Ram Nautiyal is also crying in front of TV cameras that his services to the BJP were not recognised. Aryendra Sharma Zindabad…Aryaendra Sharma Zindabad — angry supporters of Aryendra Sharma who had been a close aide to Former Chief Minister ND Tiwari threatened to destroy the Congress' prospects in the forthcoming elections after he was denied a ticket from Sahaspur. The state Congress president Kishore Upadhyay is trying to pacify his followers making an emotional appeal in Garhwali that any untoward incident will ruin his career forever. Kishore Upadhyay has been given ticket from Sahaspur, whereas he was eyeing for a ticket from Tehri, his hometown. But he had to succumb to Harish Rawat in ticket distribution. His supporters are chanting, “Zameen se jude netaon ke saath dhokha kiya gaya hai. (Grassroots-level politicians have been betrayed)” The Congress headquarters in Dehradun is a scene of rebel and rage these days. Some of the party workers even damaged their own party building disrupting the election committee meeting. The sight at BJP headquarters is no better. Supporters of Umesh Agarwal, the Mahangar chairman of BJP are raising slogans against the party leadership after he is being denied ticket. Tirath Singh Rawat, the ex-state head of BJP and former MLA has expressed his discontent over allocation of tickets to all rebel Congress leaders who joined BJP just nine months ago. Ritu Khanduri, the daughter of former CM BC Khanduri has been made BJP’s candidate raising many eyebrows. 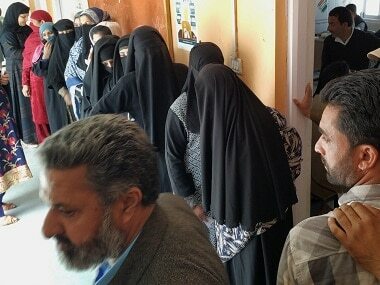 Rebels have filed nomination in some assembly seats. So it has been a daunting task for both the national parties to keep their house in order before the D day on 15 February. Garhwal and Kumaon Divisions, Caste and religious factors play major role in Uttarakhand elections and ticket distribution is an index of that. The Himalayan state of Uttarakhand has two major physical divisions: Garhwal and Kumaon. The plains of Dehradun and Haridwar and hilly regions of Uttarkashi, Tehri, Pauri, Chamoli and Rudraprayag fall under Garhwal whereas the hills of Pithoragarh, Bageshwar, Champawat, Almora and plains of Udhamsingh Nagar and Nainital consist of Kumaon. Caste equations also play major role in the Uttarakhand election. The state has a sizeable community of Rajputs, Brahmins voters and some of the assemblies are reserved for SC and ST candidates, 13 SC seats and 2 ST seats. This time BJP has filed more Brahmin candidates from Garhwal and have shown faith in more Rajput candidates from Kumaon region. On the another hand, in Congress, it looks as if Chief Minister Harish Rawat was solely powerful in ticket distribution and convincing the high command in finalizing the candidates. Rajput Candidates dominate the congress list. Harish Rawat recently extended an olive branch to the muslim community by declaring a public break for Jumma on friday. As per details from 2011 census Uttarakhand has population of 1.2 crores out of which Hindus are 83 percent and Muslims are 14 percent. Muslim community has a decisive presence in Haridwar (34.3 percent), Udhamsinghagar (22.6 percent), Nainital (12.6 percent) and Dehradun (11.9 percent). It is to be noted that these four districts count for approx. half of the assembly seats in the state. Out of 70 assembly seats in Uttarakhand, Haridwar district comprises of 12 assembly seats, Dehradun 10 seats, Udhamsingh Nagar 9, and Nainital 6. Migration of the mountain people to plains has always been a major problem in the Hilly areas of Uttarakhand. Males migrate to plains in search of jobs and better prospects. It used to have a money order economy where females run the households and take care of the aged and children. The irony is that the nine hill districts of the state registered a higher rate of migration causing negative population growth in Almora and Pauri after the formation of the state. “Sabbi Dhani Dehradun (Everything belongs to Dehradun),” the temporary capital of the state, became a popular idiom over here after the song written and sung by well known Garhwali singer Narendra Singh Negi. The delimitation exercise reflects and refracts this. 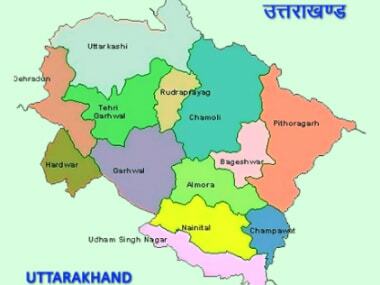 Before the creation of Uttarakhand, there were 22 seats from Uttarakhand region. In 2001, 57 seats were allotted to the hills according the 1971 census. Remaining 13 seats went to plain areas. The delimitation exercise of 2006 on the basis of 2001 census made the hills lose six constituencies to the plains resulting 36 seats in the plain areas and 34 seats in the mountain areas in the 70 assembly seats. It is estimated that a few more seats will be shifted to the plains in the next delimitation of 2026. This re-drawal of assembly seats on the basis of demography has even forced the political leadership to migrate to the plains. It is not by accident that the leaders like Harish Rawat, Ramesh Pokhriyal Nishank, Vijay Bahuguna, had moved their base to plains and Terai regions. This also meant that Uttrakhand technically did not remain a pure hill state as was aspired during the demand for separate statehood. Parties like Bahujan Samaj Party (BSP), which have been fundamentally the party from plains of Uttar Pradesh, made their presence felt winning 8 seats. And thus become the third largest political party of the state after Congress (36) and BJP (19)respectively in 2002 assembly elections. Regional political force, Uttarakhand Kranti Dal (UKD) just managed to get 4 seats in that first ever election for the state assembly. In 2007, BJP got 34 (2 short of majority), Congress 21, BSP 8 and UKD 3 seats. Remaining 3 seats went to the Independent Candidates who later on helped BJP in forming the Govt. In third assembly election the contest was just confined to Congress and BJP. Congress won 32 seats, BJP 31, BSP tally was reduced to three, UKD once again performed badly and just managed to win only 1 seat. 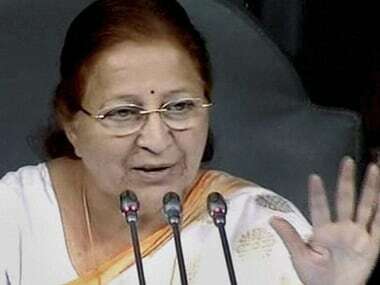 Three independents won their elections and this time they were again the key to the formation of Congress government, BSP and UKD MLa also joined the government and thus it was for the first time in real sense there was a coalition govt of its kind in the state only 12 years old at that time. As in 2012 elections, this time also it appears to be the close contest between Congress and BJP. Few independents gaining here and there, in form of seats or vote-share. In the areas having some Left influence like Karnprayag, the Left’s candidate can give a close fight and may bring in the better vote share or vote percentage this time. UKD may find it difficult to open its account. BSP may have also to suffer badly. That said, there may be a few causes for astonishment, for people as well as political parties, within the election fervour. 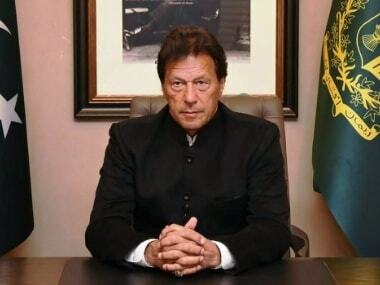 Horse trading might also come into play after 11 march when the results are out; for then, it would be the same old story of a political grotesqueness.